TRNC Prime Minister Irsen Küçük made a statement concerning the burning of the Turkish flag in South Cyprus and said “continuation of intolerances in the Greek Cypriot community shows that peace and an agreement is far away. They have to behave more carefully on these subjects”. Prime Minister Küçük replied to questions of the press in the festival organized in Yiğitler village. Küçük emphasized that Greek Cypriots should improve their relations with Turkish Republic of Northern Cyprus and Turkey in order to overcome the crisis. 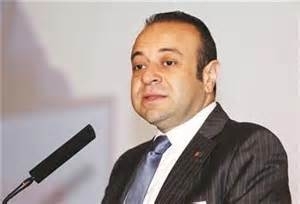 Stating that the economic crisis in South Cyprus will not seriously affect TRNC because TRNC has a strong banking structure and economy, Küçük emphasized that Greek Cypriot administration should give up its previous attitudes in the relations with TRNC besides the measures to be taken in order to overcome the crisis. Küçük said “the relations with North and South Cyprus should become more positive”. Prime Minister Küçük stated that the hydrocarbon in the island and the pipeline for water being constructed between Turkey and TRNC are great economic developments and to use those opportunities together with the Greek Cypriots, a settlement is a must. 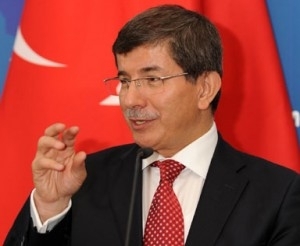 Also touching upon the burning of the Turkish flag in South Cyprus, Mr. Küçük said this incident has once again shown the Greek Cypriot side’s intolerance towards the Turkish nation and their transigence against a settlement. ‘You should respect the flag because if you were to touch the flag you would be paralyzed’ said Bağış. Explaining that the Turkish flag has a part in the food and the water consumed by the Greek Cypriot administration, Bağış called on the Greek Cypriot administration not to forget that Turkey is a great nation and when the time comes it could make a grand gesture or it could set the terms in a scathing manner. t timeframe; or if this were to fail, the establishment of a joint committee of Turkish and Greek Cypriot representatives to decide on how to share the hydrocarbon reserves between the two communities in the absence of a political settlement; and finally a two-state solution that would mean permanent partition of the island. The Minister of Foreign Affairs Huseyin Ozgurgun criticised the burning of the Turkish flag in South Cyprus and said ‘ This event can not be accepted because it is a proof of Greek Cypriot side’s racism and unreasonable hostility towards the Turkish Cypriots. motherland Turkey for years, and this event is a proof of Greek Cypriot hostility. Ozgurgun also added that Greek Cypriots proved once more that their mentality is the main reason of the deadlock in Cyprus. ‘I want to remind them that we, as the Turkish Cypriot side are always ready for a solution and mutual respect with the Greek Cypriots but we cannot tolerate unfair attacks which create a confidence crisis and will not remain unresponsive for such events’ Ozgurgun added. 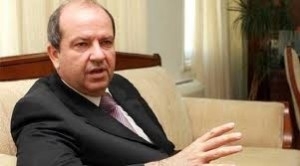 Minister of Finance Ersin Tatar invited the British and Russian citizens who are suffering from the economic crisis in South Cyprus to come to the TRNC. Tatar said that: “There is no problem for the British and Russian citizens, who are living in South Cyprus and looking for a peaceful country to settle in such as the TRNC, and own a property or open a bank account”. trust and stability in the county is developing depending on tourism, education, agriculture and energy projects done with Turkey. Stating that, “Cyprus can sink, but the side that has sunk is South Cyprus. The TRNC has become the element of stability in the Mediterranean with the support of Turkey; Tatar invited the British and Russian citizens living in South Cyprus to make investments in the TRNC. Stating that there are now 10 thousand British citizens and 3 thousand Russian citizens in the TRNC, Tatar mentioned that “The British and Russian citizens living in the South can also settle in the TRNC. 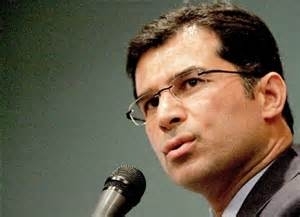 This would be to the advantage of the Turkish Cypriots. They can also transfer their retirement salary to North Cyprus and they can help our economy. There is no problem for the British and Russian citizens who are living in South Cyprus and looking for a peaceful country to settle in such as the TRNC, and own a property or open a bank account”. 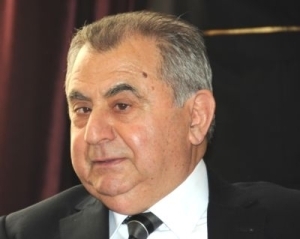 Stressing that the banking sector in the TRNC is well-grounded, Tatar said that foreign investors can easily transfer their money to the banks in the TRNC. Tatar stated that there is an atmosphere of trust and stability which has been created in the TRNC economy since 2001 with the help and co-operation of Turkey. Turkish Cypriot Artist Ayhatun Ateşin participated in an exhibition in America which was organised for ‘World Peace’. Ateşin participated with her work which she named ‘Silent Walk’. The curator of the exhibition is Feride Demircan Comen and 23 artists from Turkey, Germany, Pakistan, Norway, India, China, Brasil, Italy, Egypt, Spain, Ukraine, Russia, Sweden, Romania, America and TRNC participated. The works of the artists will be presented in some other exhibitions in USA.